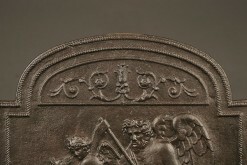 Antique German fireback.Antique German fireback. 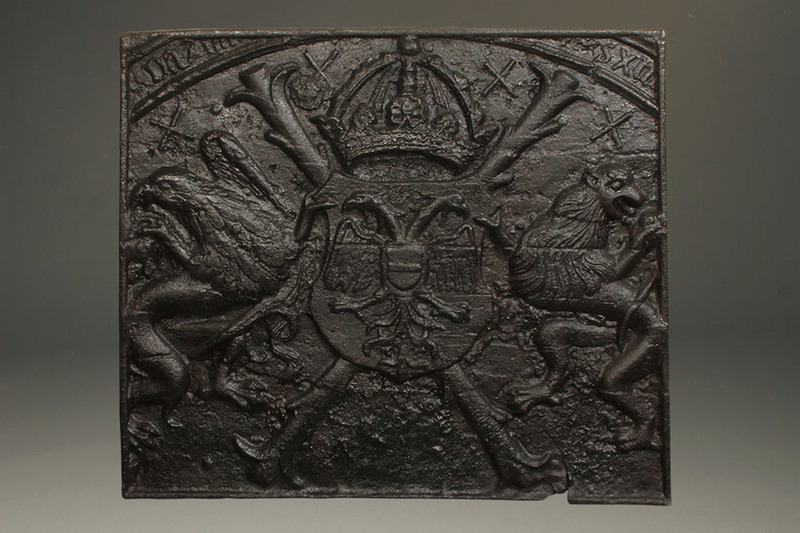 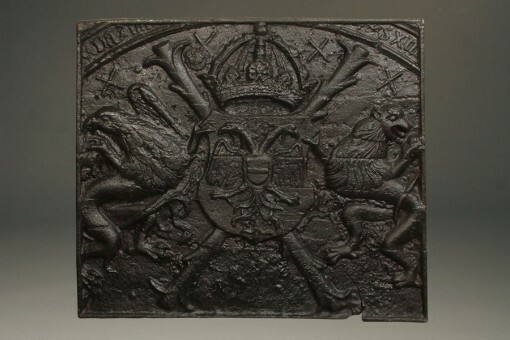 16th century antique German fireback featuring German Coat-of-Arms, circa 1580. 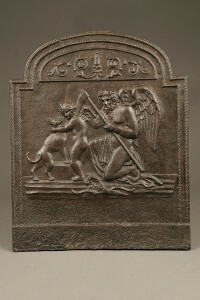 18th century French fireback with Father Time. 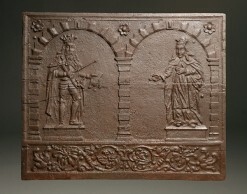 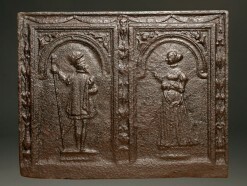 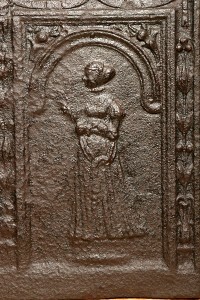 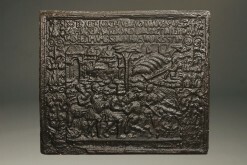 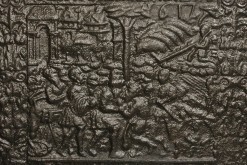 16th century Germanic fireback with king and queen. 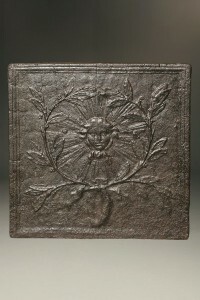 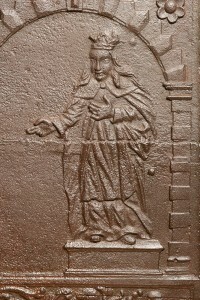 18th century French cast iron fireback with cupid face.